Overview: We initially came to SF with the idea that we would be starting a tech company over the course of this semester, but soon realised there were significant issues about this place that matter to us in ways that coming up with the latest hi-tech tool wouldn’t address. 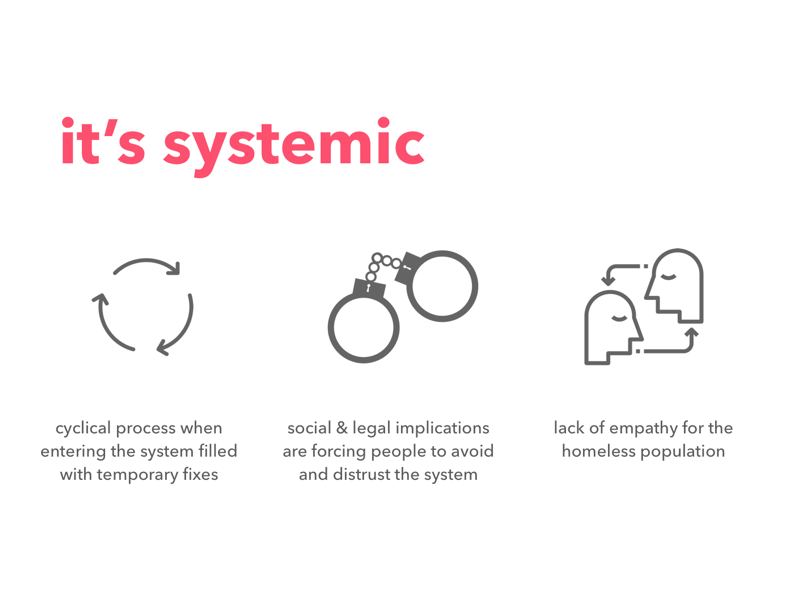 The three other students and myself connected on our common desire to create a way in which we could make a lasting impact on the systemic issue that is homelessness in San Francisco. We were all new to this city and as much as we thought we understood the issue of homelessness, we didn’t. The first and perhaps most important part of this project was acknowledging this. Our research was about statistics and stories in equal parts. 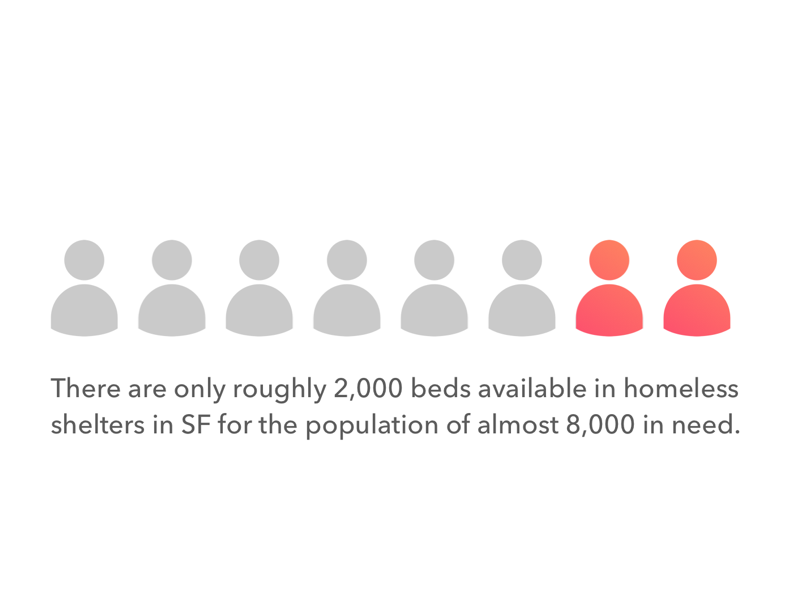 The problem of homelessness in San Francsico is notorious but poorly understood by most who don’t work directly with the homeless population in the city on a daily basis. It was our job to make sure we didn’t fall into the same trap. 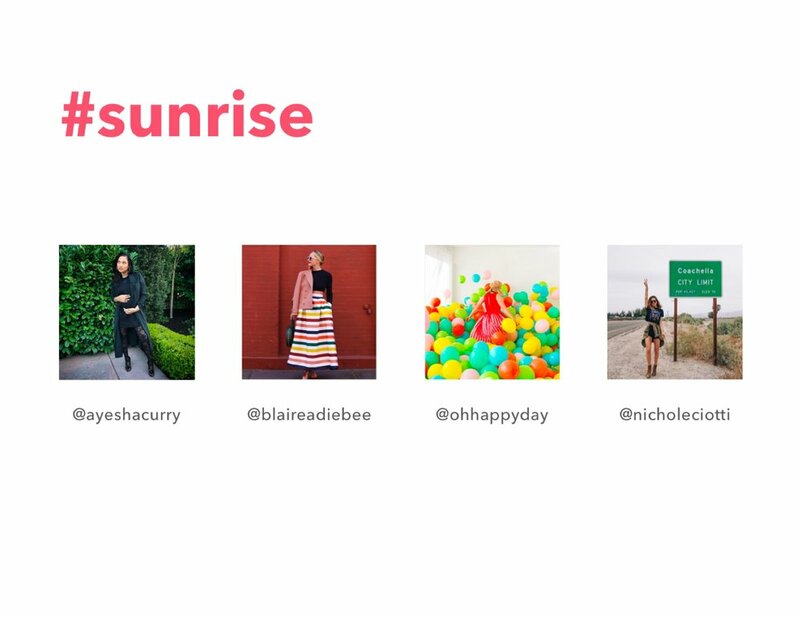 Sunrise is a movement that leverages the consumer power of customers, the brands and influence of corporations, and the know-how of nonprofits in order to holistically empower and address the needs of the homeless population in San Francisco. For example, we’d partner with Uber, whereby you could take a ‘Sunrise Uber’, and part of the proceeds would go towards funding your local shelter. For our marketing campaign, we decided to take a more organic approach in order to excite SF locals as well as the newcomers. The idea was to employ local artists and photographers to tell the stories of those that we spoke with as part of our user research process. Many of the issues surrounding the intentional blindness to the homeless issue in SF stems from the systematic dehumanization of the individuals. By telling compelling stories through in depth articles hosted on a web platform we hope to restore a sense of dignity to the people we are trying to help while simultaneously spreading the word about Sunrise. A poster series in which large, full color posters will be printed and posted around the city in highly visible locations (such as bus stops and outside BART/MUNI stations). Murals on walls donated by businesses and home owners that feature various Sunrise, SF, and homelessness related themes. Designs were mostly up to the artists’ discretion. The main source of funding for our project will come from our partnerships with for profit institutions to donate a portion of their revenue to our cause. We looked at a few case studies of specific companies that are not only best aligned with our mission and values but also have the greatest incentive to work with us. These brands include Starbucks, Uber, and local bakeries such as Tartine. Consumers can easily participate in the betterment of their communities with an issue that concerns them. Local businesses benefit their community, drive more revenue and increased positive press. Global brands complete Corporate Social Responsibility quotas while rehabilitating their company image. So why would these bakeries want to work with us? The sunrise Uber option will be available from time of sunrise to end of morning rush hour. The price of the ride will be the same as for UberX but all proceeds will be donated to sunrise and tipping point. So why would UBER want to work with us? The Starbucks partnership will involve several different aspects including a sunrise latte, a sunrise reusable travel mug, and sunrise paper cups. So why would STARBUcks want to work with us? Unfortunately due to time constraints on our team’s experience in SF, we were unable to actually implement this project. Representatives from the various stakeholders in the initiative expressed interest on an informal basis when we conducted interviews and research. Hopefully someone will see this project and decide to take it on. 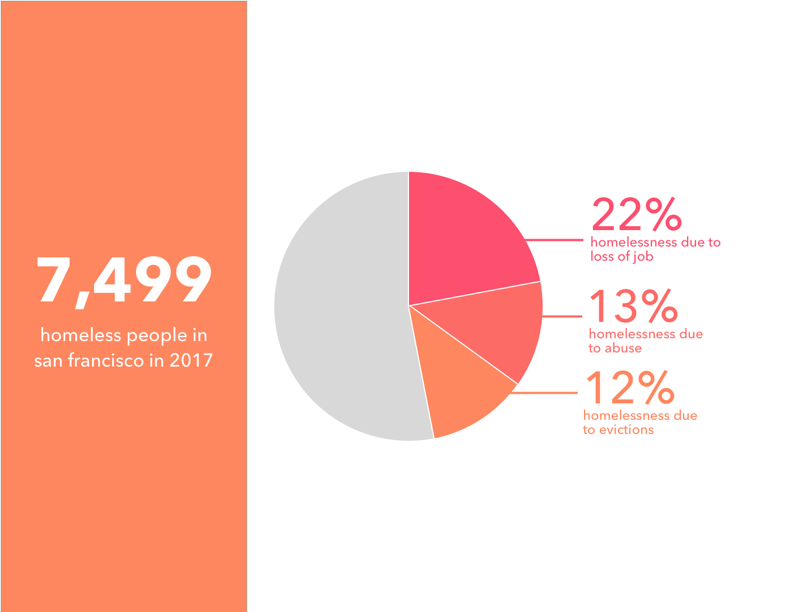 We also hope to return to SF one day and bring this idea to fruition as it has the potential to dramatically change the way we look at corporate social responsibility and the homeless population in urban environments such as San Francisco.